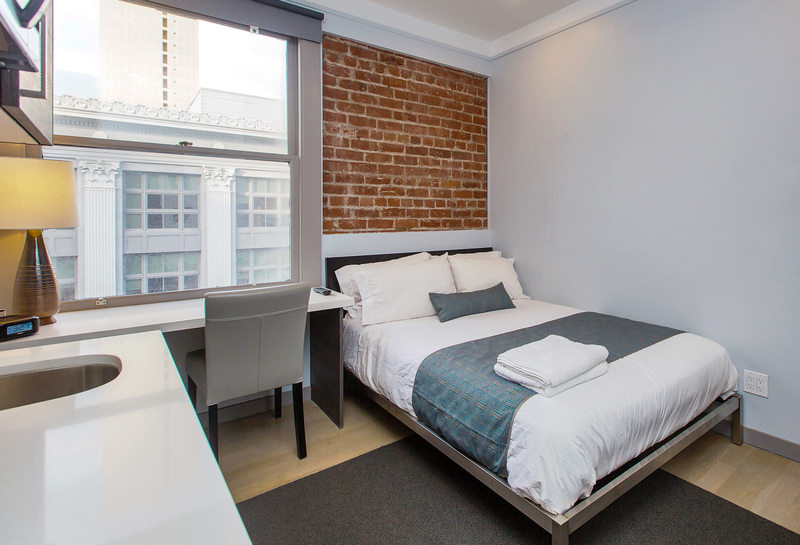 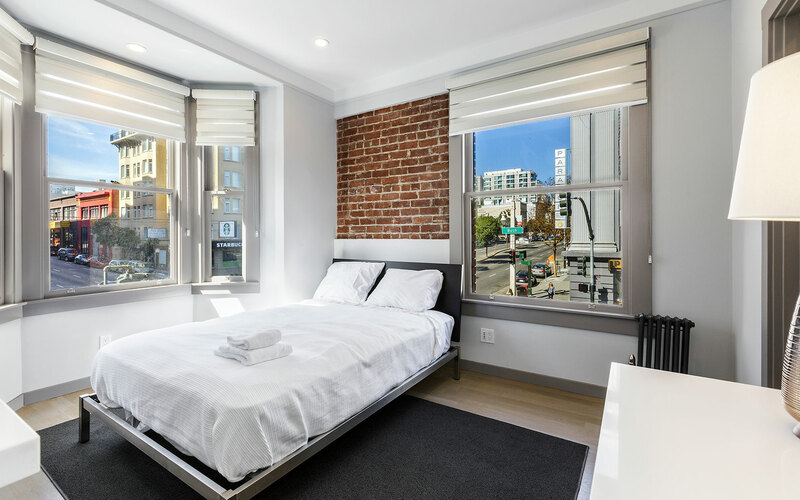 Filled with light and accented by original exposed brick walls, our guest rooms are cozy urban retreats in the heart of San Francisco. 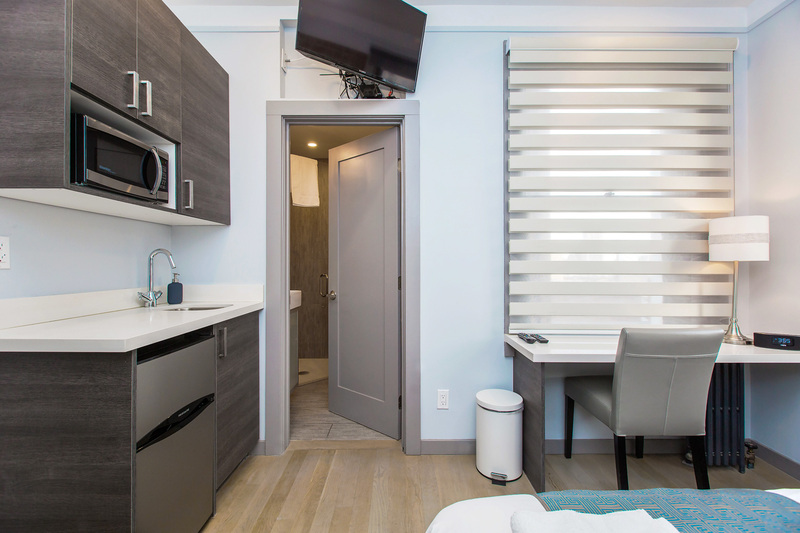 Make yourself at home in one of our cozy modern guest rooms, each featuring a European-style kitchenette with built-in microwave and undercounter refrigerator. 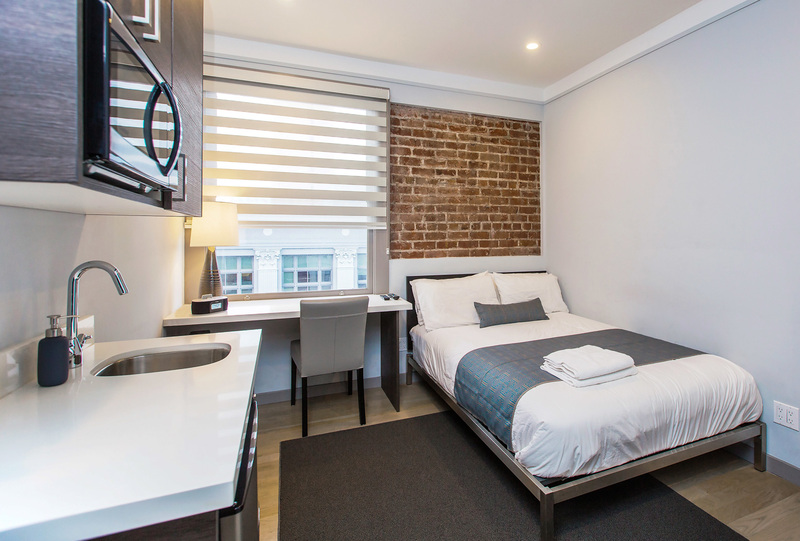 After a busy day of sightseeing and exploring, sink into an ultra-comfortable queen bed, catch the news on your flat-screen television or post your best pictures to Instagram, thanks to our lightning-fast complimentary WiFi connection. 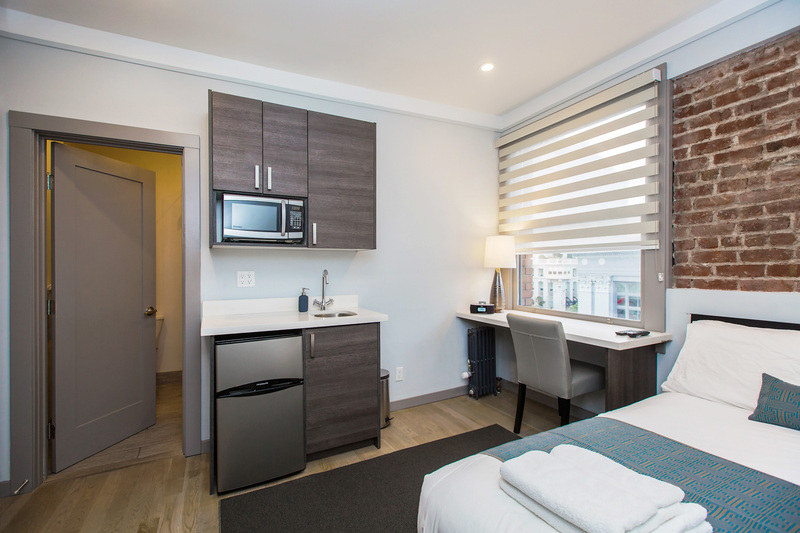 A sophisticated color palette of white and gray gives our modern Signature Double Guest Rooms an atmosphere of cool, calm simplicity. 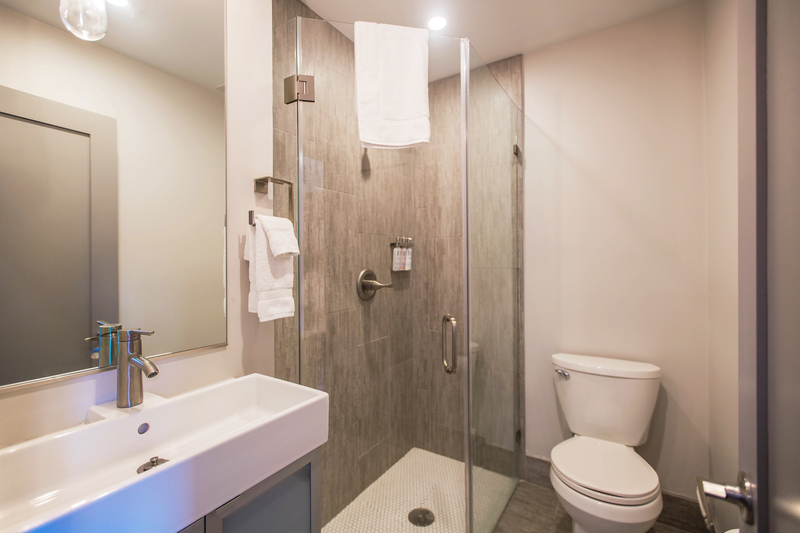 Classic yet stylishly contemporary, they feature a comfortable queen bed with premium European linens, a full kitchenette with designer cabinetry, and brand-new tile bathrooms with glass-enclosed showers.